This card, my second one from Taiwan, comes from Liao. Hengchun Township is an urban township located on the southern tip of the Hengchun Peninsula of Pingtung County, Taiwan. It is the southernmost township in Taiwan. 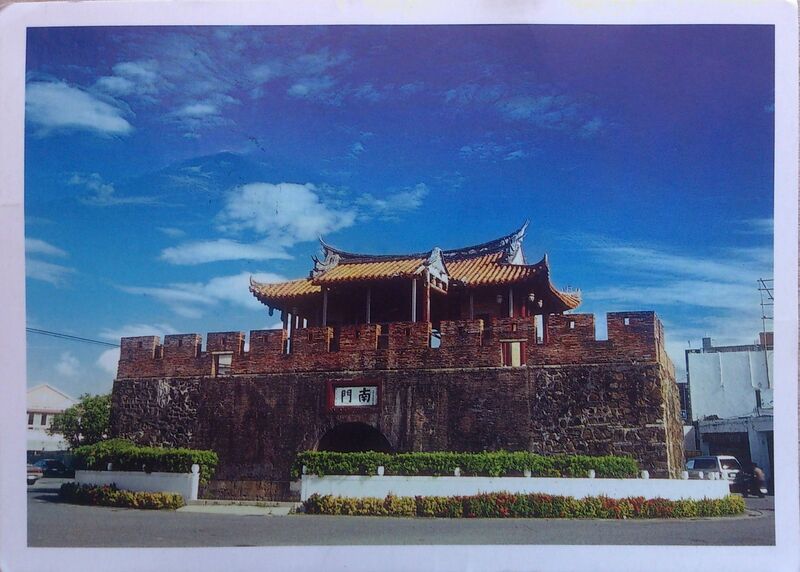 The city of Hengchun is the entry way to Kenting National Park, the southernmost National Park in the country. With pristine beaches and a vibrant tourist industry, the Hengchun area often attracts more travelers than local residents. The city itself was once completely surrounded by a city wall; now about half of the wall remains intact, as well as the four city gates. My very first card from Taiwan comes from Hung-Ju. 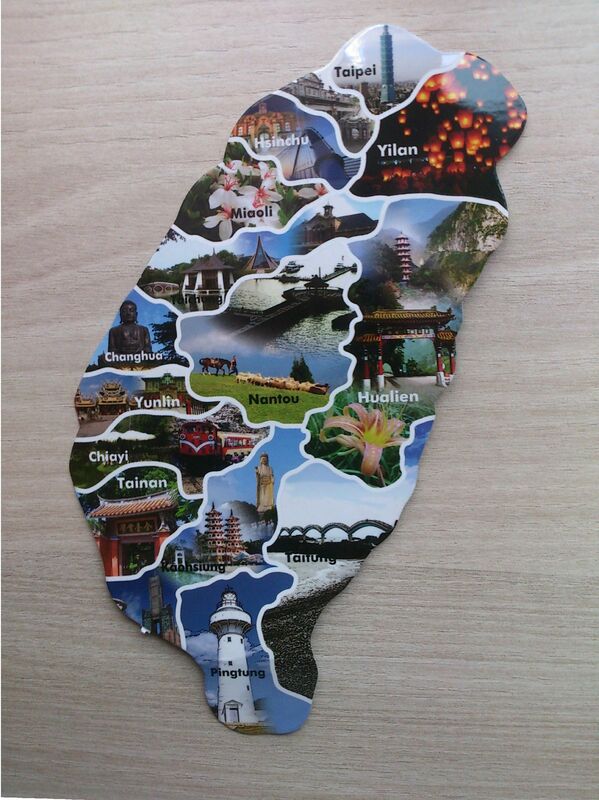 It pictures the municipalities and administrative regions of Taiwan. Taiwan, officially the Republic of China, is a state in East Asia and the first constitutional republic in Asia. Originally based in mainland China, the Republic of China now governs the island of Taiwan (formerly known as “Formosa”), which makes up over 99% of its territory, as well as Penghu, Kinmen, Matsu, and other minor islands. Neighboring states include the People’s Republic of China to the west, Japan to the east and northeast, and the Philippines to the south. 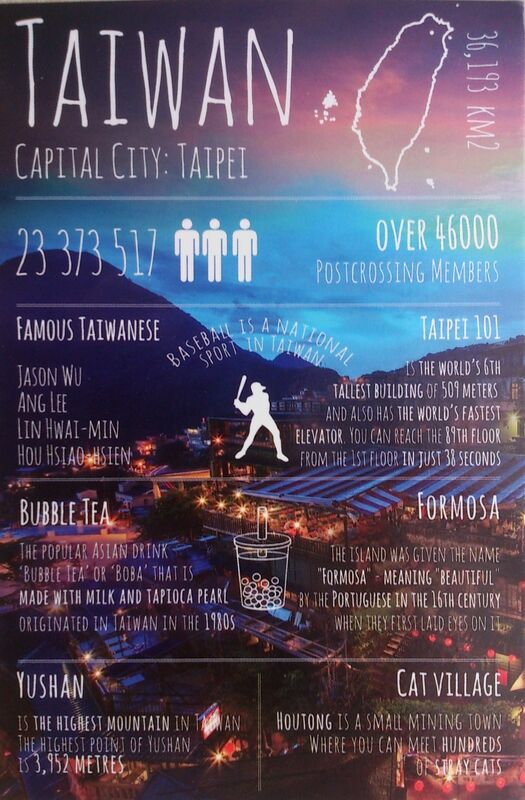 Taipei is the political capital as well as economic and cultural centre in Taiwan. New Taipei is the most populous city.